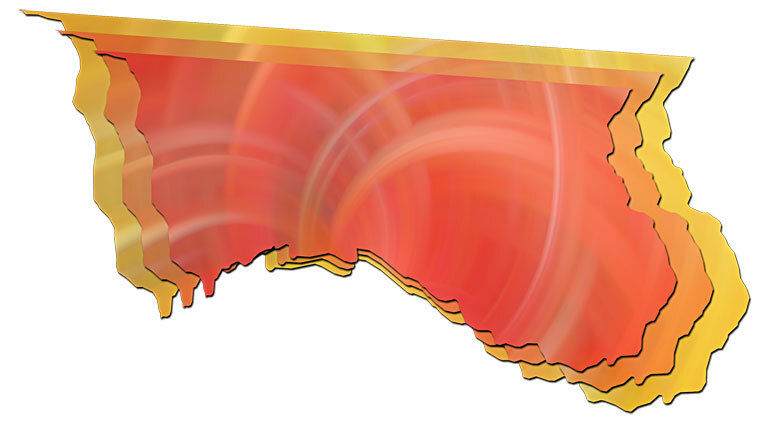 Description: A map of Hamilton County with three overlapping layers, each of which is slightly smaller than the underlying layer. Each layer is filled with a swirl pattern ranging from red-orange to gold. The background is solid white. These maps are in the JPG format. Use them on your Web pages or in presentations.